Step 1. Cut a semi-circle from a sheet of Collagami Paper. NB: If using the Handmade Decorative Paper, glue two sheets together first with the decorated sides showing. Step 2. 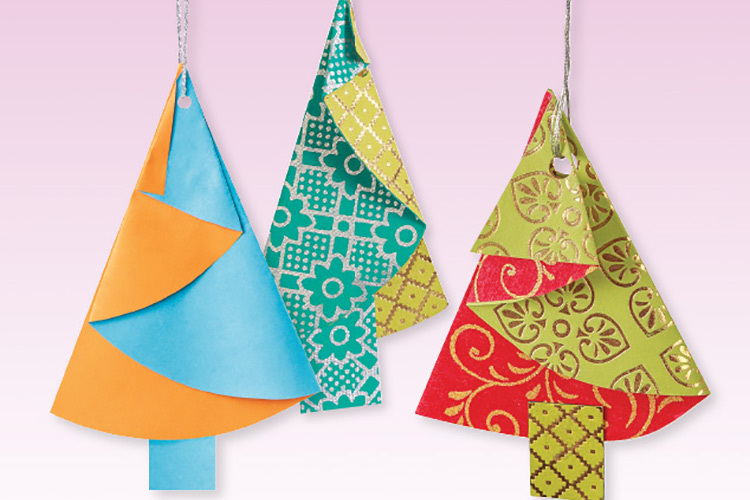 Follow the diagrams to create your tree shapes using folds. Step 3. Secure folds with glue. Step 4. Punch a hole at the top of the tree and create a hanger with Metallic Yarn.